This could be big news for Manchester United… if it’s true! 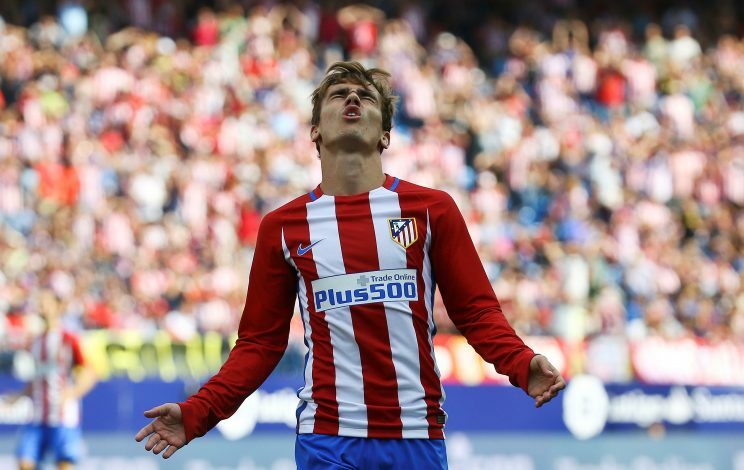 According to De Brun, a talkSPORT contributor, United are ‘very confident’ of securing this deal for Antoine Griezmann. The Atletico Madrid and France forward could be signed in the summer for around £84 million, as a direct replacement for Wayne Rooney. Griezmann’s current contract has a release clause worth £83.5m, and Manchester United are looking to trigger it in the summer. The France international is also believed to be happy and excited about a switch to England. Utd are very confident of signing Griezmann in the summer having already told him they'll meet his buyout. No way back for Rooney IMO. In a Periscope video, he further added: “Contact was made with Griezmann a while ago actually. “As you’ve probably noticed in the last month or two, Griezmann did an interview where he said some encouraging things about the Premier League, about Paul Pogba and Manchester United. “It looks like Griezmann will be brought in as a replacement for Rooney. I do know that the situation with Griezmann is he’s keen, United are confident they’ll get him. “Will Champions League [football] be a factor if they don’t get it? I don’t know. But, I would imagine Griezmann has thought about that and quite happy to come regardless. Griezmann is regarded as one of the greatest Spain-based players outside Barcelona and Real Madrid, and therefore perpetually grabs attention from potential suitors, with a plethora of Premier League big guns showing interest in him over the past two transfer windows.